Hometown Memories- “Looking Forward”-Happy New Year 2014!!!! 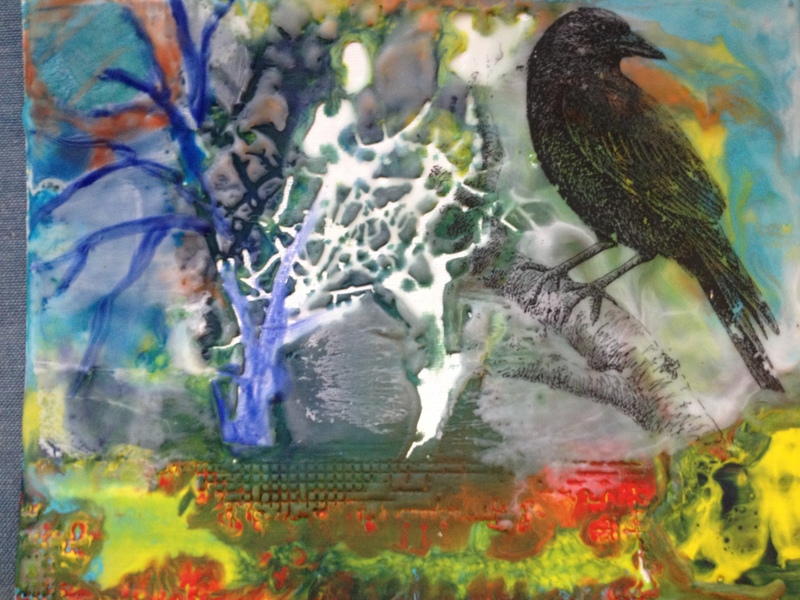 This “Wise Old Crow” is one of my favorite pieces of encaustic art that I have done. The title is “Looking Forward”. For me this crow is looking towards the future, an unknown, wondering about the possibilities!!!! Many of us are in that position today. The past is woven together from intricate and complicated stories, some of them delightful and some extremely challenging. We survived and probably thrived from those experiences. In all likelihood we will grow and thrive in the future as well. I wish you all a wonderful, exciting, interesting and complicated “New Year”!